Omar, a 1200 year old genie, suddenly drops into the simple life of down-on-his-luck everyman, Vic Baranauskas. In three wishes, Vic can change his life for the better, forever. If only Omar wasn’t the most obnoxious, mischievous, dishonest, conniving, arrogant, unlikeable and dangerous person to ever walk the face of the earth. So what’s he supposed to do with a genie who could – if the wishes aren’t worded just right – cause worldwide death and destruction? That’s easy. He needs to decide what he wants, draft three perfect wishes, and act fast – before things get out of control. But the problem is, what should Vic wish for? Wealth? Power? Love? Better posture? 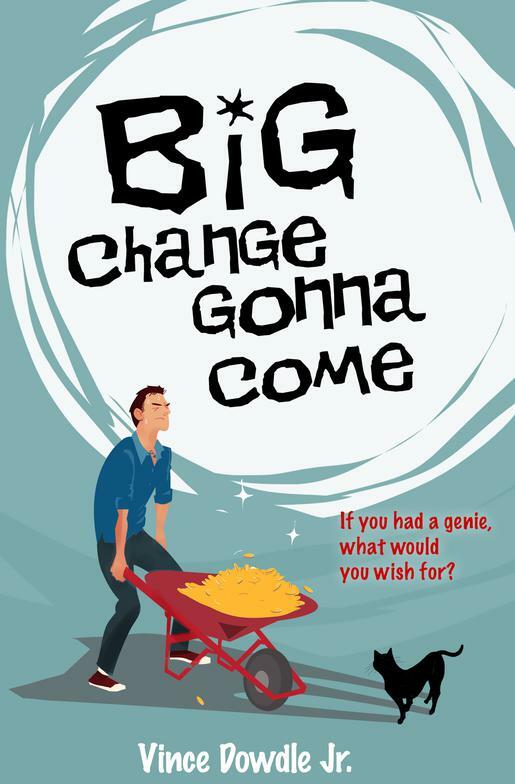 Big Change Gonna Come by Vince Dowdle Jr.